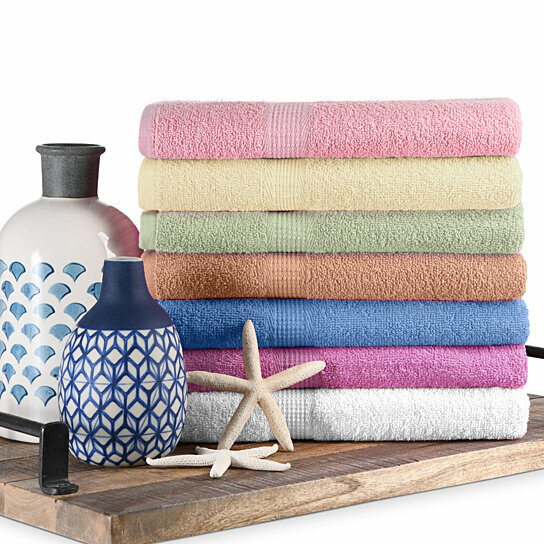 Each towel measures 27" x 52"
Machine wash warm with colors. Tumble dry. Do not bleach.